One of my favorite meals growing up was my dad’s tacos. My brother and I would always get excited when it was taco night, inevitably eating too many tacos in one sitting but loving every minute of it. What really made the tacos stand out in my opinion was the delicious meat inside, so I recently emailed my dad for his famous recipe. The original recipe calls for ground sirloin, but since we had an abundance of ground turkey on our hands, I decided to make turkey taco meat. The taco meat recipe is really simple, but so delicious. And when paired with some sharp cheddar cheese, lettuce, tomatoes and guacamole, it’s out of this world. I was initially worried the turkey taco meat would not taste as good as my dad’s version, but it turned out to be quite flavorful! Of course my dad’s original recipe calls for corn taco shells that you lightly fry in vegetable oil (so good), but since corn and I are no longer friends, we had wheat tortillas on hand instead. And when I say “we” I mean the Englishman, since apparently wheat and I are on a hiatus as well. This taco meat recipe takes me right back to my childhood, sitting at the kitchen table with dripping wet hair from spending the day at the pool and happily devouring tacos and piling them high with meat and cheese. Thanks for the memories dad! 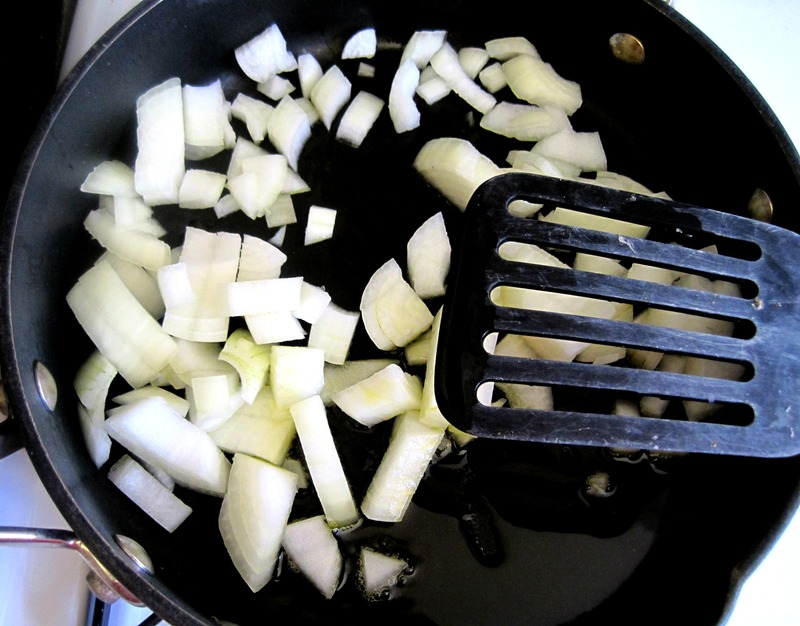 Heat the olive oil in a frying pan and add your garlic and onions. Saute until the onions begin to turn a light brown. 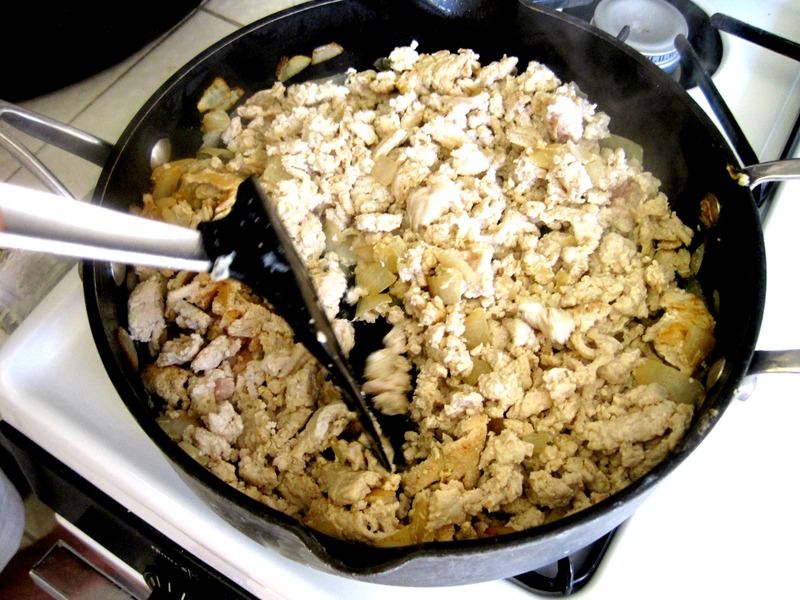 Add your ground turkey and continue to saute until well cooked. Once the meat is cooked through add your sliced olives and mix well. 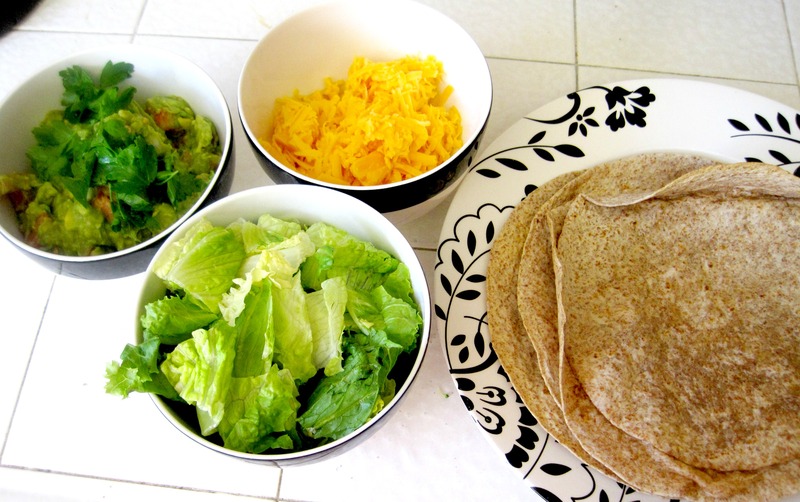 Put your cheese, tomatoes, lettuce and guacamole in separate bowls for your “taco bar.” If you have corn tortillas lightly fry them in vegetable oil or for wheat ones, warm them up in the oven on low heat. Build your own taco. Top with taco sauce if you have it. Devour. Repeat. 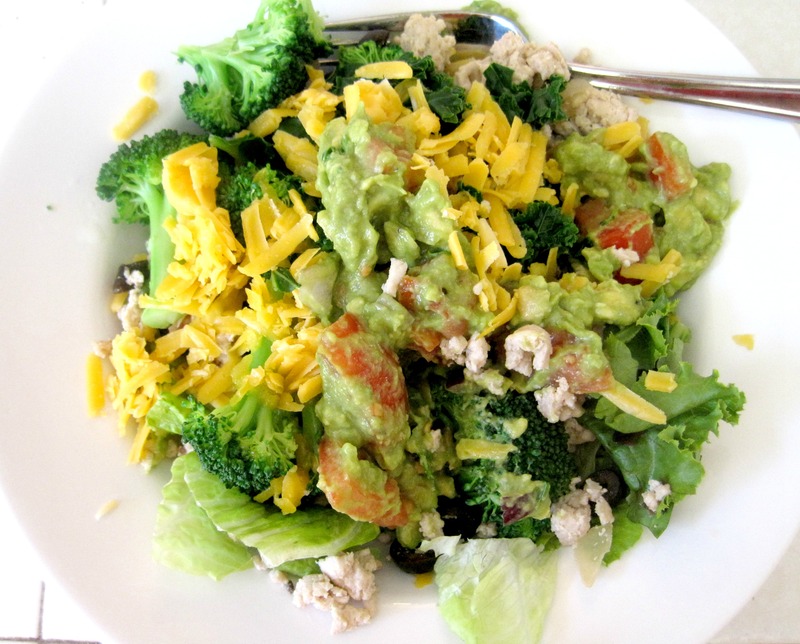 If you can’t have the tortillas or want to do a low-carb version, turkey taco meat salad is also delicious! 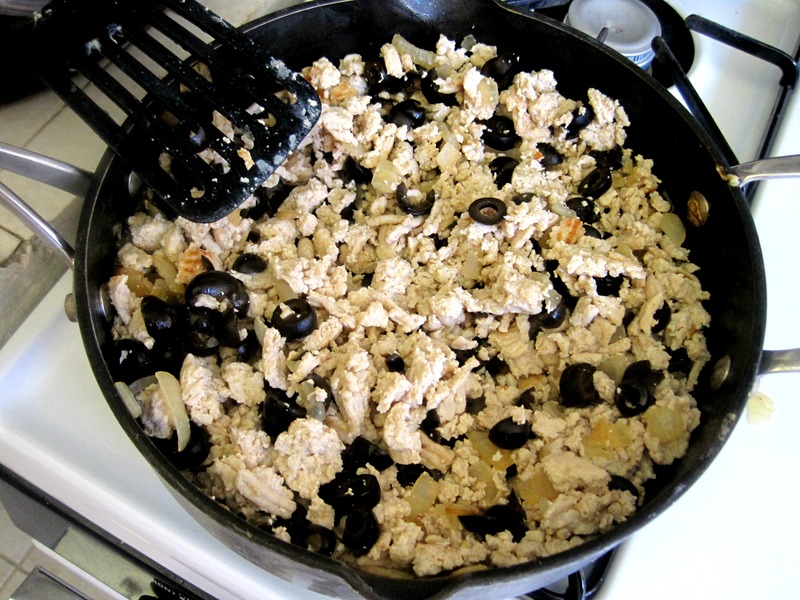 This entry was posted in Best Of, Dinner, Recipes and tagged family recipe, ground turkey, homemade tacos on June 24, 2013 by allie@sweetpotatobites. Jesse and I have really been getting into taco salads as of recent, except we make them meat-free (with beans!). I have some ground turkey in my freezer, I should give this a whirl. I was thisclose to adding beans and then I didn’t! Next time I’ll add some black beans I think.